The music video "Hey Carolina" was released last year as one of the two lullabies by John Paris. 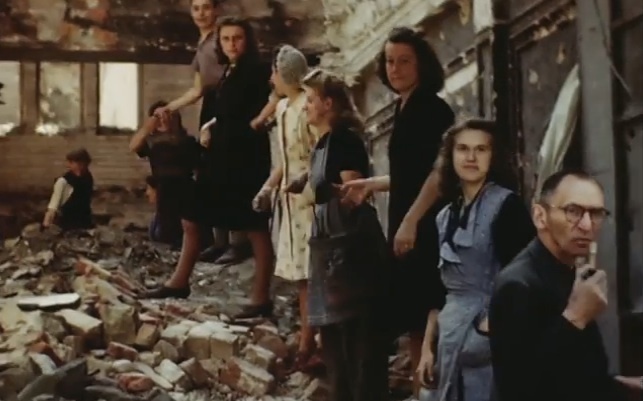 He created this video while living in Brooklyn, however, John Paris always had a fascination with Berlin's history, especially from the time of World War II so he decided to use the historical images and clips of Berlin as a video to go with his lullaby "Hey Carolina" and one can see why! The emotional bond between the footage and the music is evident. In many ways, It really is a love song to the Berlin. John Paris is a psychedelic/folk/rock artist based in Berlin. Drawing inspiration from Phish, Radiohead, Andrew Bird, and others, he creates music that celebrates a dynamic between introspection and freewheeling energy.